Hello everyone, and welcome to the brand new Prototypr.io makerspace/forum! Right now, it's a blank canvas, so thank you for joining and I hope we can shape it into a great space. The forum is a place everybody to come together, regardless of location. Feel free to share ideas, thoughts and opinions under relevant categories and sub-categories below. This update was originally sent to participants on newCo. Join the challenge to receive updates first. View original message. See them all here. Looking forward to your updates and products! Before making anything, it’s useful to identify who our actual users are, and collect observations on the topic. Observing a target audience and understanding the current market can help identify numerous problems, and create something more impactful by solving one of the larger pain points. This ensures people actually use what you create since it makes their lives better - otherwise, why work on it at all? These are tools often used in the design processes of larger teams, so it’s not essential for us as solo creators to spend too long on them. However, exploring these for just an hour or so can massively change the direction of our end product for the better. 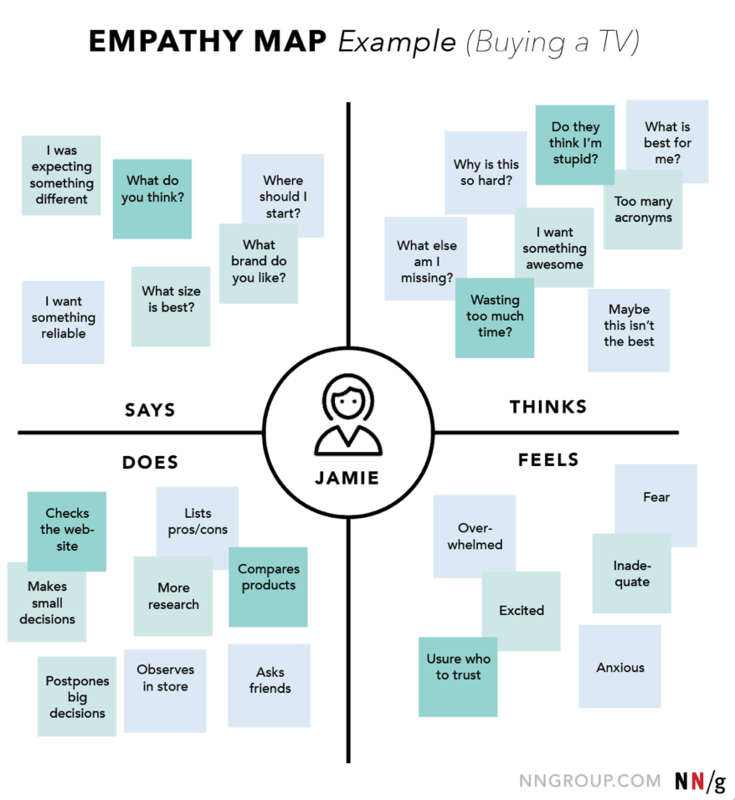 Empathy maps should ideally be based on research of a problem area, but it’s not always possible - especially in our case. A quick picture and better focus of the people who will use your app (as opposed to diving into the solution). They’re most effective if based on real research, and can be improved with the outcomes created from empathy maps. Helps to keep our users the focus of our product, whilst also preventing us from designing for just ourselves. User Persona Template by Compose.ly — free to save or download! This gives us an overview of our user’s painpoints and motivations at every step of their journey, allowing us to see where the biggest design opportunities lie. Let me know if you have any questions. Next I'll add some resources on idea generation, prototyping and gathering feedback from our prototypes. I'll feature a little bit about what you're looking for, and your introduction too! Hopefully, it can help you reach the people you're looking for. Also, if you're taking part in the 30 day challenge, or have written in the publication before, let me know and I will add you to the relevant group so you have a badge in the forum too! 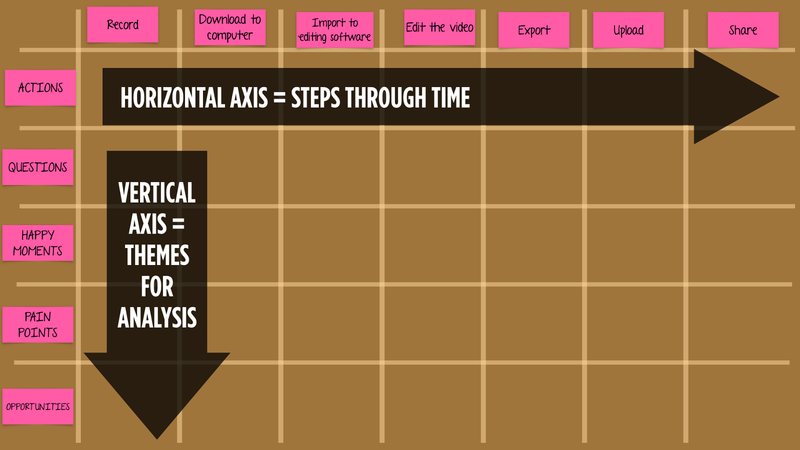 It's created with a spreadsheet, and this timeline library. You can find the code in the codepen editor view. Enjoy I guess! Hi everyone, Issue #95 of Prototypr weekly went out a bit late as I was not too well during the week. Pavel, founder of Tortu shares some thoughts on Voice UIs. Tania joins, with a new article. Vijay has made an Adobe XD Plugin. Hello! I'm happy to welcome you and introduce the new Prototypr.io Makerspace, (and myself)! If you have any questions, let me know (p.s. you can embed tweets just by pasting the link in). What are you looking for from this community? What is your favourite emoji? great to have you here Katerina!! Hey all, I just finished writing this comprehensive article on getting started with Voice Design and prototyping Alexa Skills in Adobe XD. cc @mrdanielschwarz - this was what I had mentioned before! It's already had a great response, so now I'm thinking of writing a book on this to teach people how to go from conception to Alexa Skill/Google/Siri app. Hey learners, I've not bought this, but I'm pretty certain it's an excellent book! Steve's previous articles were awesome, so you could expect more quality! It's also on ProductHunt now, so you can read more about it there too. UI Sounds is a library of user interface sounds from popular apps to help you think and learn more about sound when designing and building products. Since writing about sound visualisation a few years ago (e.g. see here), I was always interested in seeing sounds, but didn't see any career-related reason to pursue the interest so I just stopped! I want to take this chance to encourage people to make time for what you're really interested in, as it's easy to think "I'll learn about that awesome stuff later"/"that won't pay the bills". But if you think like that, you might never get to do what you really like, and eventually that area of interest will be like a shadowy ghost of what could have been. This project is for me to start re-exploring sounds. Last year I became interested in the sounds on UI of apps, and got recorded a library, as there isn't really a place to find them all. Here is that library! Future todo: replace the YouTube sound visualisations a Web Audio API version, and add content about this area to teach more about it. That content will be premium to fund the site! That's the rough plan for this one. It was great to see the positive remarks around the project, but Vincent's thoughts, in particular, had me thinking about how to keep the project sustainable. The project is a free resource and being free it is very difficult to maintain. Maybe giving out free content and work is sustainable if you have a 9-5 job that you're happy in, but for indie people like me, it's not. From my experience in the design industry, I've seen lots of freebies, and the promotion of free work for exposure. I think this actually hurts the industry, and by not helping people sell and promote their own work keeps this cycle going. So clearly my next step is to generate revenue so the product can continue to live - or it will simply die! I haven't decided on pricing yet, but any ideas will help. I'll keep this thread updated with progress. Win prizes and have your idea shared to 1000s of people! This challenge is running on the newCo platform. Check it out here - make something in 30 days. Message me to be added to the group here in the makerspace. There's Twitter list of members too! Also, keep your eyes pealed for an invite to the new Prototypr.io forum – it will be a space for us to chat and share ideas! Before the forum arrives though, share the status of your project by adding an update - it will be great to see what stage you're at. Also, make your project real by publicly sharing on Twitter (with the #PrototyprIO hashtag so we can retweet) or with people IRL..talk about your project! @blackmaas Hey Keith, thanks for joining, and it's great to have some AR expertise around. It looks like AR/VR prototyping is now becoming more widely adopted, so will be cool to see your learnings at Torch here! RE: Should we require full names? I've changed the setting, now we keep our @ handles, and it displays our full name on profiles. Collaborate visually. 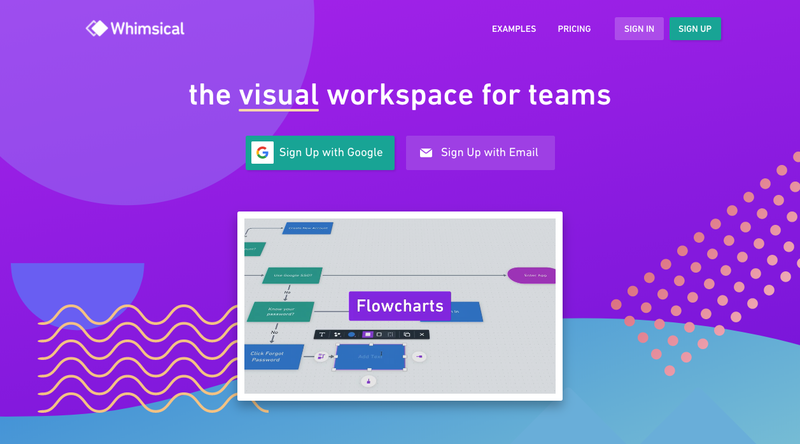 Craft flows with Flowcharts, design UIs with Wireframes and run projects with Sticky Notes. I haven't met many designers in healthcare, it is a big challenge to be the only designer - this came to my mind straight away. Maybe we could add a category for solo designers? Do you think it could be useful? RE: Hello & Hi! From Singapore! I'm Graphic Designer for 10 years. Hey Fajar! Great to see you here , and nice to have you from Singapore! I'm also nomadic, so happy to share stories. I find it a bit isolating, so I've added a group here for Nomads, and added you into it too. You just need to change the group title box, and select 'Digital Nomads'.